We’d love your help. 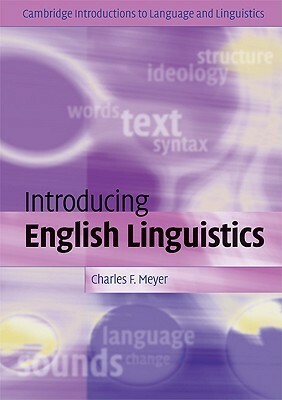 Let us know what’s wrong with this preview of Introducing English Linguistics by Charles F. Meyer. To ask other readers questions about Introducing English Linguistics, please sign up. If you don't know a thing about linguistics, as I didn't, and don't mind reading a textbook, this one is a good one to start with. It's very readable, but it is definitely a textbook. It walks through all the basics of English linguistics: from grammar to spelling to phonology.